A pair of Isle of Man Steam Railway trains cross at Castletown on 9 May 2017. 2-4-0T No.12 Hutchinson arrives with the 11:50 Douglas to Port Erin service. 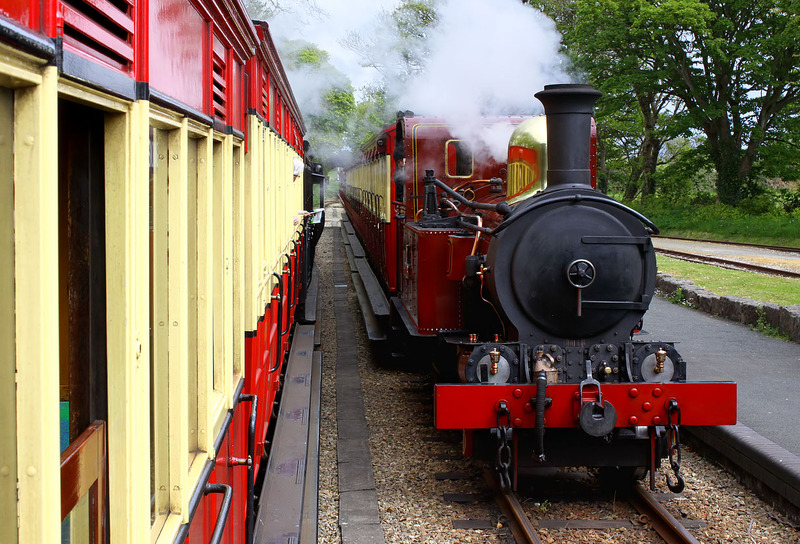 The picture is taken from the 12:00 Port Erin to Douglas service, led by No.13 Kissack.